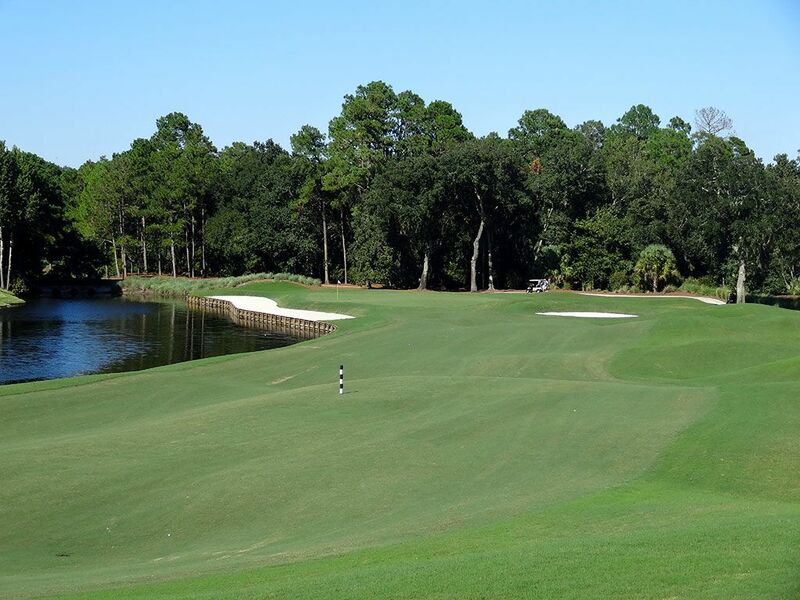 Course Website: Official Website - Visit TPC Sawgrass (Dye Valley)'s official website by clicking on the link provided. 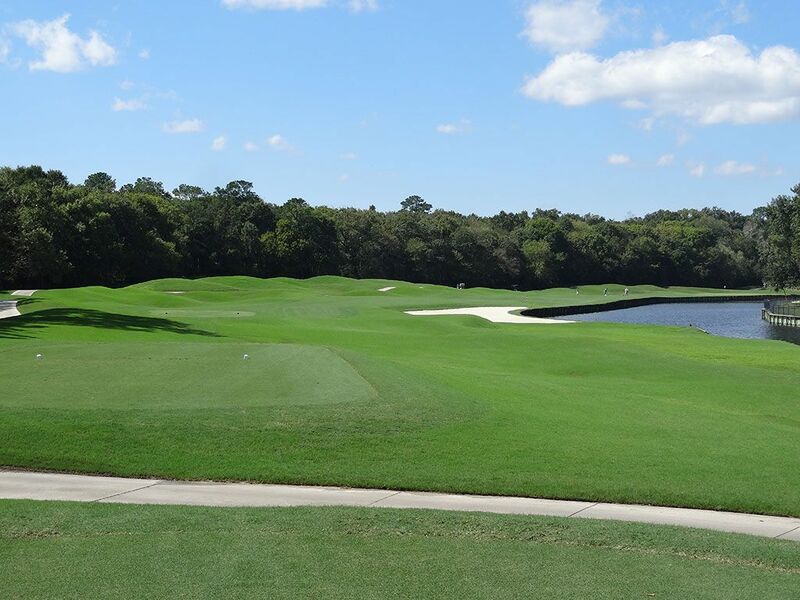 Accolades: Ranked 13th in Florida on Golf Course Gurus' Best in State list. What to Expect: Some courses will never receive the attention they deserve due the mass popularity of its neighbor. 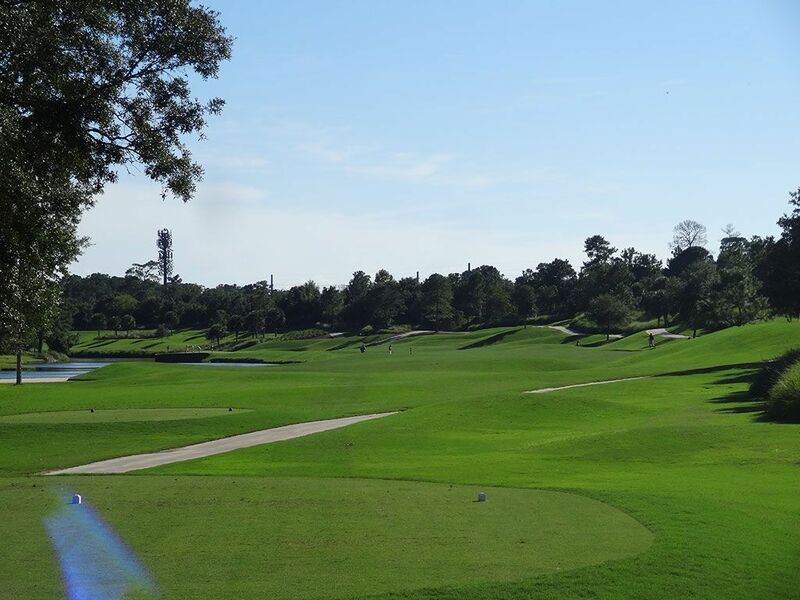 Like the Irish course at Whistling Straits or Spanish Bay at Pebble Beach, the Dye Valley course at TPC Sawgrass will always assume the stepchild role next to its world famous Stadium sister course. The Valley course has gained some prestige as the annual host to the Web.com's Tour Championship finale event where players have one last shot to prove their merit and secure their PGA Tour card for the following season. The routing largely plays through a housing development and is not very long from the tips. 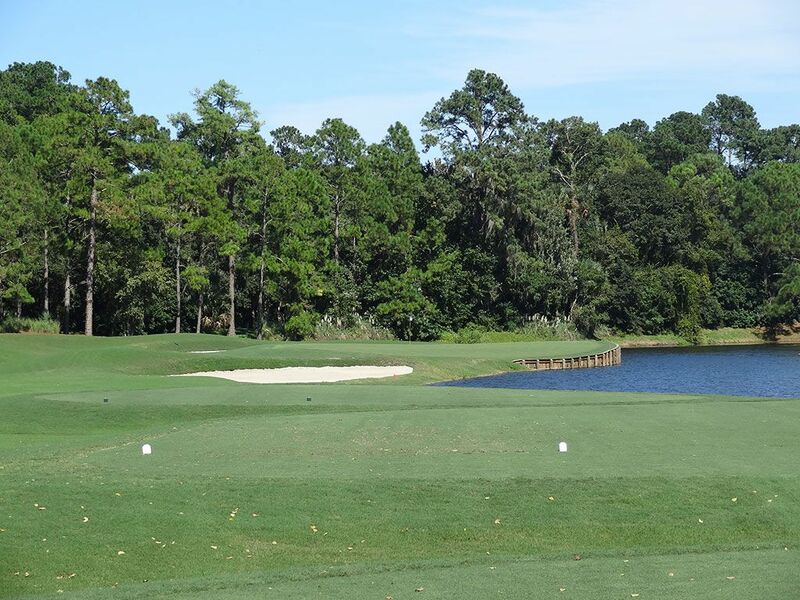 In classic Pete Dye fashion though, players will be asked to accurately navigate their ball through the trees while avoiding the substantial collection of water hazards throughout the course which tend to be a larger factor on the back nine than the front. 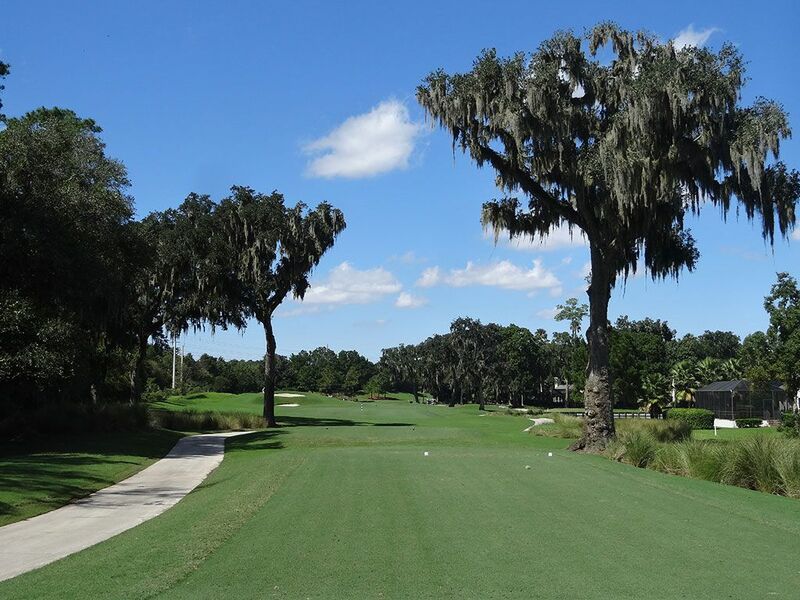 Several of the holes are enjoyable to play with the back nine featuring significant elevation changes by Florida standards. Located on an old swamp, the Valley's biggest challenge is facilitating drainage when Florida's famous rain storms come pounding down. While the course went through a nine month renovation of the drainage system through much of 2014, it was clear to me that the Valley course will always suffer handling the rain without a SubAir system to help out. There is no doubt the course deals with rain much better than before and should remain playable on days that in the past it couldn't, however the Stadium course will consistently handle the water better; particularly in the fairways. While the Stadium course is cart path only year round, player's teeing it up on the Valley course are allowed to take carts out on the fairways when the ground is dry enough to handle it and will also be accompanied by a forecaddie. Signature Hole: 5th Hole – 158 Yard Par 3 – If you didn't pony up the big bucks to play the Stadium course then this is the poor man's version of the island green hole. Attractive and challenging in its own right, this short one-shotter features a lot of the same elements of its much more famous cousin without the total do-or-die nature. A bailout area is offered left of the hole but players that find the small bunker next to the green will be faced with the dreaded sand shot that plays towards a water hazard. If the famous 17th hole at the Stadium course didn't exist then this hole would get a lot more deserved hype as one of the most enjoyable on the property. Best Par 3: 11th Hole – 229 Yards – The Dye Valley course has a great collection of par threes and this challenging one-shotter contributes to that claim. Like the 5th hole, water laces the right side and will gobble up tee shots that veer off course. A bunker fronts the green and another one sits left of the putting surface which adds to the challenge here and thus makes scoring par all the more rewarding. Best Par 4: 13th Hole – 409 Yards – Pete Dye loves to dogleg holes around a water hazard and that is what we get here on the 13th. What makes this hole more enjoyable than others Pete has designed is the elevation change from the tee down to the green along with the undulations in the fairway. In classic Dye fashion a series of railroad ties flank the left side of the green and supporting the putting surface from falling into the water below. Best Par 5: 16th Hole – 559 Yards – While avoiding the water off the tee is important, the most critical aspect of this hole is accuracy on the approach shot to the peninsula green. Water runs up the left side of the hole but there is a ton of room to the right for players to bailout to if they feel so inclined. 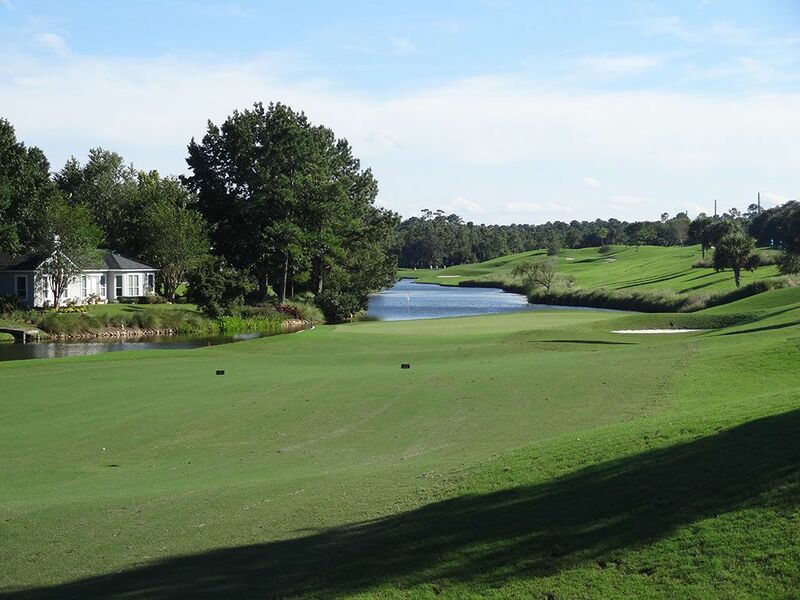 The holes moves left with the fairway continuing to run away from the player until it finishes at a green that is surrounded on three sides by water. This is a great risk/reward hole strategically placed late in the routing. Birdie Time: 7th Hole – 326 Yard Par 4 – This is just a fun hole. A high draw that avoids the bunkers fronting the green can result in an eagle putt for long hitters off the tee while losing it to the right will result in a lost ball out of bounds. Players that layup off the tee have a generous landing area and will then be faced with a relatively short approach shot to a raised green. 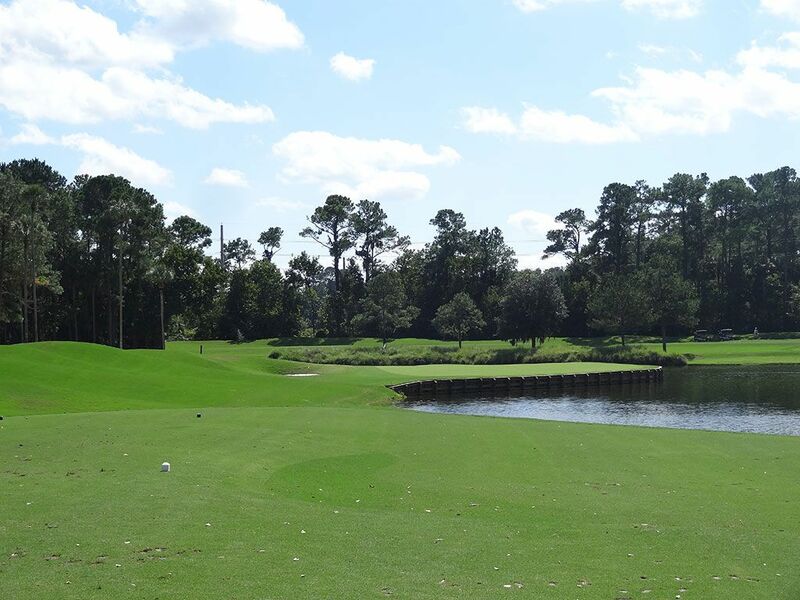 With all the trouble and water found on the Dye Valley course at TPC Sawgrass, this is a chance to take a stroke back. Bogey Beware: 6th Hole – 445 Yard Par 4 – Pete Dye's famous design feature of a hole doglegging around a water hazard reappears here at the 6th hole but the extra length creates a more difficult scoring scenario. Players may be tempted to challenge the corner of the dogleg by flying the bunker protecting that location but if they do they better get both cheeks into their drive in order to find safety. The water continues to encroach into the fairway width the closer to the hole you get which adds another challenge to contend with while traversing this hole. There is nothing wrong with playing it safe up the left side and taking your chances at getting up and down for par if you can't reach the green in two.